Get ready to duck when that mace swings! 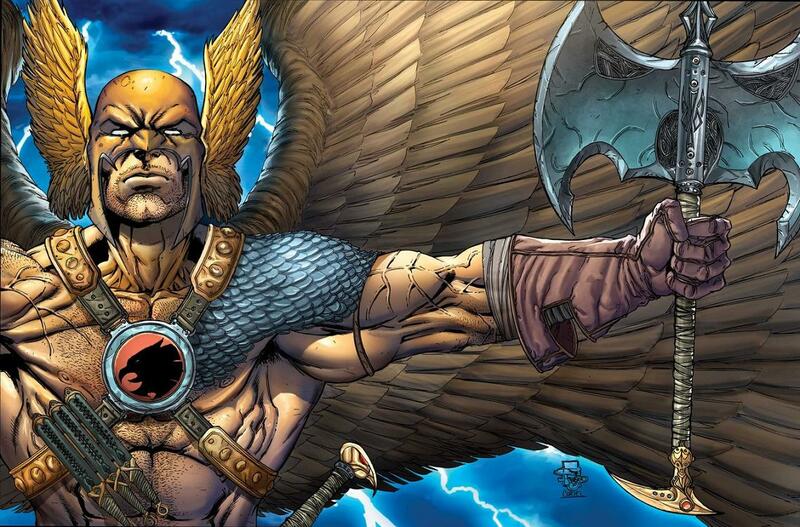 Hawkman is set to take flight on the CW network for the upcoming Legends of Tomorrow. German actor Falk Hentschel will take on the role of Carter Hall, a.k.a. Hawkman. The character is the latest reincarnation of an Egyptian prince who is fated to be reborn throughout time with his soulmate. His beloved in this era is Kendra Saundera, a.k.a. Hawkgirl, who will be played by actress Ciara Renee. There have been many incarnations of Hawkman throughout the DC Universe. It will be interesting to see of this version uses the gravity-defying Nth metal or if he harnesses the power of the Egyptian gods. Hawkman, much like many of the characters appearing on LoT, will be introduced on the popular CW shows Arrow and Flash before taking centerstage in their mid-season break show. Hentshcel has been keeping busy in Hollywood. He had minor roles in recent films Transcendence, White House Down and Knight and Day. Legends of Tomorrow is set to debut sometime in early 2016, when Arrow and Flash bow out for their midseason breaks. This entry was posted in Breaking News, DC, TV and tagged Arrow, Falk Hentschel, flash, Hawkman. Bookmark the permalink. Frank Grillo Feels the Urge to Purge Again!